Come enjoy a day at the lake! This home features 2 bedrooms, 2 full baths, a walkout basement and a spacious loft. With sandy frontage, the whole family will be able to enjoy plenty of beach side fun! The large garage offers lots of storage with an overhead loft ready to be finished. 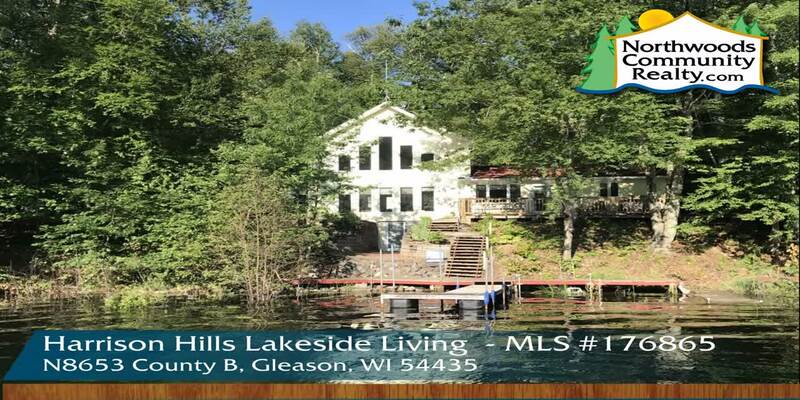 This property is in the Harrison Hills area on Long Lake which is known for its rolling hills and is surrounded by public hunting land. This area has something to offer in every season; ATV trails, snowmobiling, boating and hunting is available right here out your front door. Long Lake is connected to Bass Lake for a total of 230 acres of water and 7 miles of shoreline. The blue circle drawn on the map represents the area which is most likely to contain listings comparable to N8653 Cth B. If you wish, you may adjust the circle by dragging the white center handle to move it, or dragging one of its other white handles to resize it. Press the 'Next' button at the top when finished.